"When we stumbled upon our soft wash recipe, I fear I went a little bit crackers. I insisted we sprinkled it onto all of our casual shirts this season. In this case, that means making our world-renowned Non-iron Twills even softer, more comfortable, and more enticing. Perhaps I’m not losing it, after all." "The classic, all-time favourite Tyrwhitt Non-iron Twill shirt updated with our brand new soft wash."
As was described. Was delivered in time. Unable though ReBound online yo order pockets! Good fit and quality. I’m unable to comment on the non-iron feature at present. 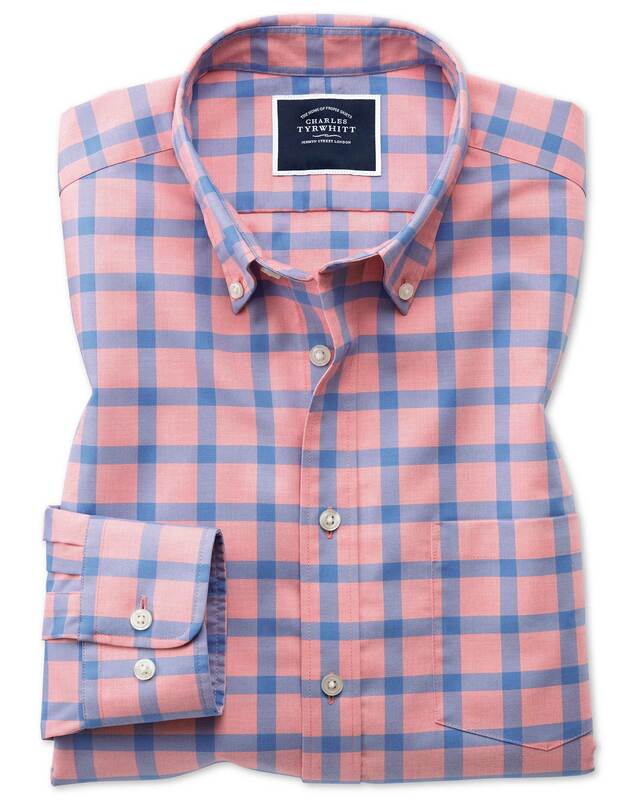 Response from Charles Tyrwhitt: I am very pleased that you are happy with the shirts you have ordered but I can only apologise for the issues you faced with the discounts available. At Charles Tyrwhitt we want to ensure our customers are receiving the best value possible so will often have a number of offers running consecutively. Sometimes these are available on social media or mailed to you directly. It is not our intention for you to feel limited with the offers received, but we understand that not all of our customer want to receive mailings via post email just as some customers do not like to use social media. We are happy to offer the difference to you, all we ask is that you confirm the new offer code received or seen and that the items from your order are currently in stock. I do hope you enjoy our non iron cool shirts and that they become a great addition to your wardrobe.